Brand new! 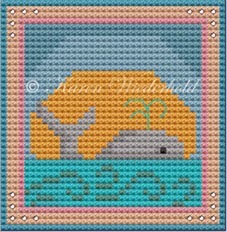 Something small enough to stitch while on holiday, in lovely juicy summer colours. This little picture come in at just under 3inches in size and is perfect to make as a card topper, fridge magnet or as a decoration for a bag, t-shirt or anything you think of. To receive a copy of the chart, please let me know through the contact sheet.